Lowcountry Chef Demal Mattson, a graduate from The Culinary Institute of Charleston at Trident Technical College, showed over 3 million viewers across the nation what Charleston cuisine is all about when he brought home the top prize on the Food Network’s reality-competition series “Cooks vs Cons”. 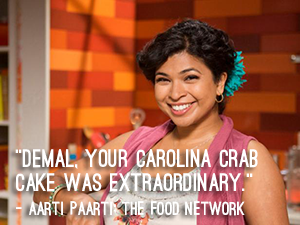 The episode, “Egg Fight (Season 4, Episode 6) which filmed in New York on February 16 and aired on the Food Network April 26, featured home cooks battling against trained professionals whose identities are concealed from a panel of judges. The judges decide who advances through two rounds of competition based on taste and presentation of prepared dishes, and Mattson was named the overall winner, receiving a $10,000 prize. In round one, contestants were given a dish to prepare: Tuna Casserole, and a list of secret ingredients pertaining to milk: no cow’s milk, only coconut, almond, powdered milk or popular milk cocktail “White Russian”. With only 30 minutes to cook, Mattson chooses powdered milk to prepare a Grilled Ahi Tuna Casserole adding gourmet touches to the familiar family recipe. 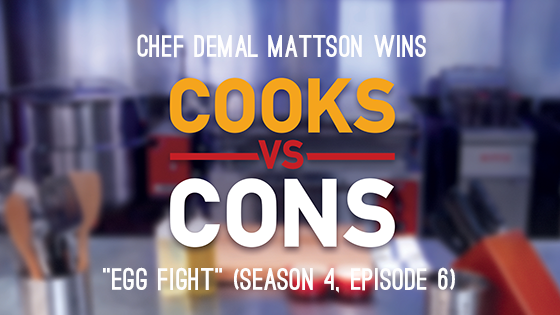 For the second round, Mattson could select what he wanted to prepare using the secret ingredient pertaining to the word “egg”: quail eggs, duck eggs, salmon eggs, Cadbury creme eggs and eggplant. 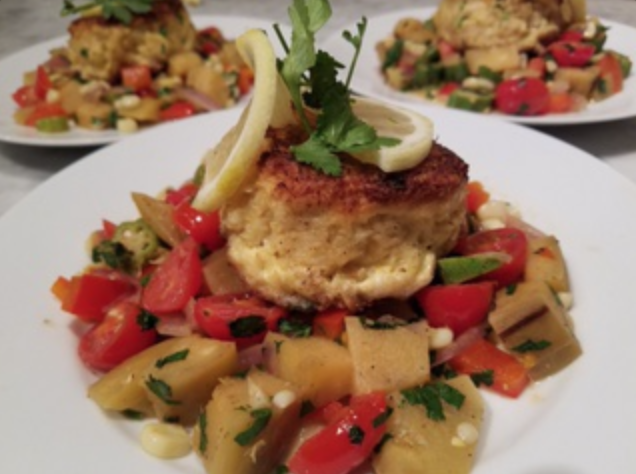 He chose duck eggs and eggplant to prepare his favorite: Carolina Jumbo Lump Crab Cakes over Eggplant Succotash, which the judges ruled was the best of the bunch, awarding him the top prize. The winning dish was particularly meaningful to Mattson because it was his father’s favorite. “I really wanted to do this show to showcase not only my cooking abilities, but to be able to tell the story of my amazing father who inspired my love of cooking,” shares Mattson. His father, Charleston attorney Demal Ignatius Mattson Jr who passed away in April 2016, introduced him to the joys of making a good meal and bringing family together by teaching him how to cook. “My father and I were very close, and we loved coming up with new recipes and ideas for fish and game that we harvested ourselves,” says Mattson. Mattson was also inspired by his father’s tireless work advocating for students with special needs as a specialist in child education law. Mattson has donated all of his $10,000 winnings to the Demal Mattson Jr. Special Education Fund, established by the Mattson’s family in order to help children with special education needs. “The entire time I was cooking, I could feel my dad there with me,” shares Mattson. When the 30 minutes had passed during round two of the competition, Mattson is captured on camera stepping away from the prep area, pointing to the sky and saying “dad I think we just won.” And that they did.